I should apologise in advance for this instalment of the London Diary. I haven’t seen as many exhibitions as I’d have liked, (though I did make it to Sims Reed’s superb Bruce Nauman show on its final day) and, perhaps more crucially, I am not actually in London. Despite a few big openings, the art trade is winding down for the holidays. Galleries are on summer-show autopilot, and even the heat-haze feels as if it’s going through the motions. It’s not all bad, though. 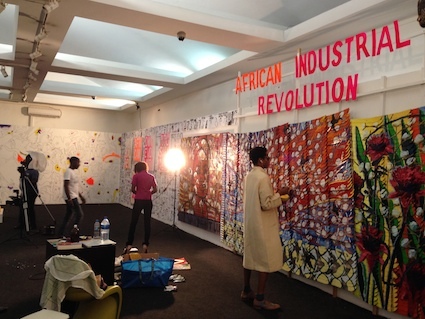 If you’re in search of something to pierce the draining fug of the Great Wen, Angolan collective e-studio’s July/August exhibition at Tiwani Contemporary (until 15 August) is a blast of energy. The first things you notice when you walk into this colourful, anarchic show are six packing crates on the floor, labelled L-U-A-N-D-A. I have never been to the city – the miniscule scraps of information I have on Luanda come from a single essay by the Polish writer Ryszard Kapuscinski. This also foregrounds packing cases in its description: great stacks of them, left behind by fleeing Portuguese colonists when Angola won its independence in 1975 after a decade-long guerrilla war. I have no idea if e-studio’s boxes refer to the stacks of crates that lined Luanda’s harbour 40 years ago. Perhaps they are still there – the show offers little in the way of explanation. That said, e-studio does not flinch from historical reference. Portraits of what I take to be the collective’s heroes cover almost every inch of the walls: you get Amílcar Cabral and Léopold Senghor pasted up near Dizzy Gillespie and Tupac. Elsewhere, patches of green and yellow shout at each other from opposing walls, and printouts of screen-grabs form a rudimentary punctuation to it all. There is a lot to take in, but if you’re in need of excitement, look no further. There has been a question bothering me for some time now, and this week has given me a chance to ask it in public. One hesitates to be unkind, so I’ll keep it short. 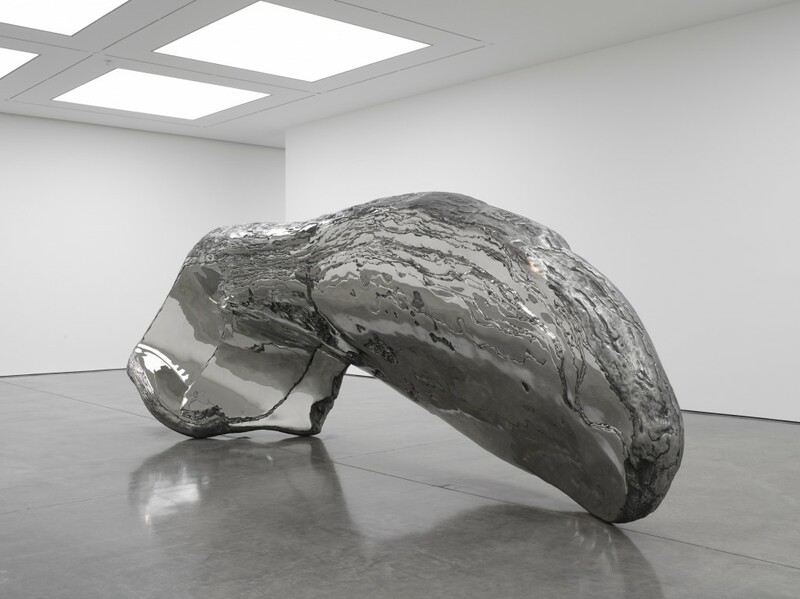 But, really, what is the point of Marc Quinn? I turned up at the opening of his show at the White Cube Bermondsey (until 13 September) last Tuesday with low expectations, but expectations nonetheless. I ignored the free beer and marched straight in, and was taken aback by what seemed like a stylistic volte-face: these were paintings, great big things. Some were amoeba-like, others like something Malevich might have painted had he studied Malevich. Then I looked at the press release: this smaller exhibition was the work of Imi Knoebel, a protégé of Joseph Beuys in the 1970s. I was suddenly depleted of energy, and the idea of a free beer was looking more attractive by the second. I walked deeper into the gallery and found what I’d been looking for. Quinn has got someone to reproduce some sea shells he found as gigantic, steel monoliths. They are supposed to tell us something about nature – or at least this is his justification for the price tag. If ‘nature’, as Quinn sees it, is as vacuous and cynical as these oversized boardroom ornaments, I despair for him. 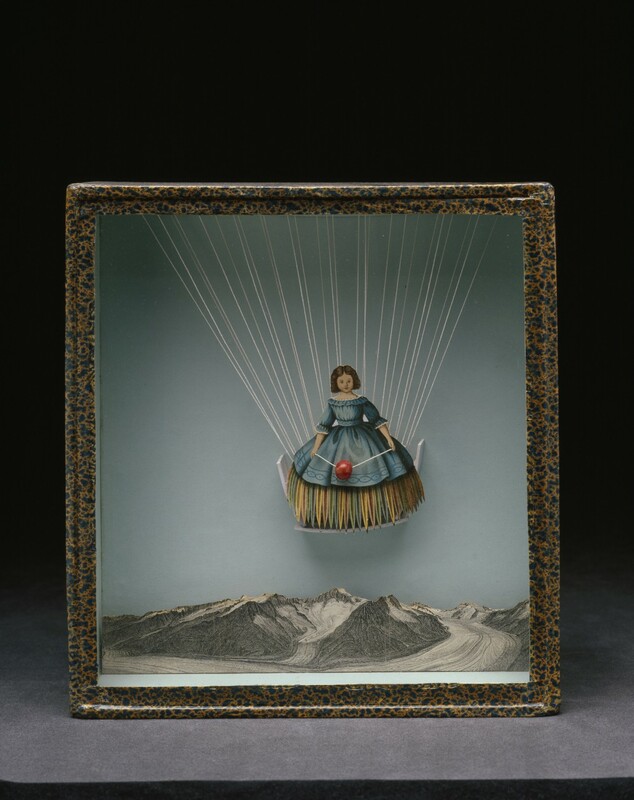 When Joseph Cornell first met Marcel Duchamp, the artists spent some time talking about the minutiae of Parisian topography in faultless French. At the end of their conversation, Cornell dropped a final piece of information that floored even the imperturbable father of conceptual art – he had never even been to Paris. Indeed, he never made it further from his native New York than Maine. On the strength of this (possibly apocryphal) story alone, I was excited about the Royal Academy’s Cornell retrospective (until 27 September) – the first in this country since the 1970s; I have only ever seen the travel-fixated recluse’s works in reproduction. I wasn’t, however, struck by wonder before his glass-fronted boxes. They are sugary, twee things – kitsch avant la lettre. The works took on another meaning when I learned of Cornell’s apparent sexual obsessions. Suddenly, many of these works took on a more sinister character entirely. Great art doesn’t have to conform to accepted mores – think of Céline, who is one of the greatest authors of the 20th century, despite his vile prejudices. Or take Kapuscinski and his dubious relationship with the truth. But I don’t think Cornell’s eccentric, arcane collages and creepy toys add up to great art. If I took away anything from the show, it was that I needed to get out of London more often.